We have lots of woman poets in Afghanistan but among them all, Rabia Balkhi has had the greatest influence. Her ebullient life and untimely death still attracts people’s minds and hearts hundreds of years later. The first time I heard the story of Rabia, I couldn’t believe that although she was one of the biggest personalities in her city, she did not have the freedom to tell people what she wanted. She became a victim of a culture in which a rich girl can’t be with a poor boy. People thought this relationship was immoral. Rabia Balkhi lived in Qasdad, a little city in the southern part of Afghanistan. She was called Rabia-e-Qasdadi. She fell in love with Baktash, her brother’s slave. From the time Rabia was five years old, her servant would tell her everything Baktash did, and would tell Baktash what Rabia did too. The two communicated like this for years until they fell in love. When Rabia’s brother, Hares, found out, he told Rabia’s servants to cut her veins in the bathroom. Rabia wrote poems with her blood on the walls of the bath while she was dying. She was a woman with feelings and every poem was the sign of her feelings. After Rabia died, Hares said to Baktash: “Come and fight with me. If I win, I will kill you. If you win, I will give Rabia to you.” Not knowing that Rabia was already dead, Baktash accepted the challenge and came to fight with Hares. Unfortunately, Hares won the fight and killed Baktash. Now Rabia Balkhi high school is one of the biggest schools of Afghanistan. 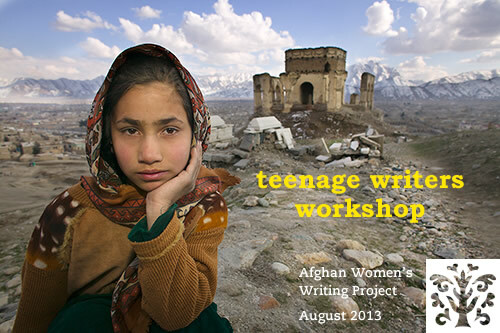 It has about 4,000 students and has the best equality education for girls in Afghanistan. Alia — This is a heartbreaking story but how wonderful that Rabia is not forgotten and her name graces a high school that educates girls in Afghanistan. Thank you for writing about this important woman! Congratulations! I’m happy to see your story of Rabia Balki. So many women and their brave deeds have been lost throughout history. It is important to tell and retell the stories of our heroines. Thank you for helping to keep our history of women’s heroism and defiance alive. Thank you for sharing this story. The image of her poetry on the walls in her blood will stay with me forever. Really great and touching story. that was soooooooooo sad but who would be so crule and why…. Thank you for your retelling of the story of Rabia Balkhi. What a tragedy all around. Though she was killed for loving someone her brother didn’t want her to, in the end she has won the fight through her words and inspiration. I’m so happy to learn of the success of the Rabia Balkhi School for Girls! That is an ending I could not have predicted. Thank you. This is such an heartbreaking story. This ending isn’t what suppose to be like for someone that brave like Rabia! Her love had shocked me deep down in my heart. I just couldn’t believe her brother would do this to her an her love. Baktash should be graceful to fell in love with Rabia who also felled in love with him! She was an intelligent,talented person. Very sad the way she died. I wish I could save her.I hope it’s a lesson for the forceful,selfish men.